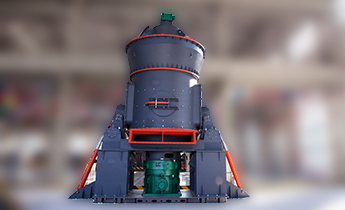 The dedicated grinding mill for high quality, huge capacity ultra-fine powder production, the best choice for ultra fine powder processing industry powder site can reach 10-20um D97 by first separation, 4-5um D97 by secondary seperation, capacity 5-30tons per hour. Applicable materials: calcite, marble, limestone, talc, dolomite, barite, kaolin, wollastonite, gypsum, feldspar, pyrophylite and other non-metallic mineral ores. This system mainly consists of crushers, conveyors of raw materials, ultrafine grinding and classifying devices, powder collectors, conveyors of finished products and other auxiliary equipment. Crushing equipment: jaw crusher, hammer crusher etc. Conveying equipment of raw materials: elevator, belt scale, surge bin, star-shaped feeding valve, spiral conveyer etc. Ultrafine grinding and grading devices: main machine and multi-rotor classifier of ultrafine vertical grinding mill. Transportation devices of finished products: spiral conveyer, discharge valve, elevator or pneumatic transport system etc. Auxiliary equipment: grinding aid additive system, cooling water system, compressed air system, iron separator etc. The system mainly consists of multi-rotor ultrafine classifier, fan, pulse filter, elevator, discharge valve, spiral conveyer and final product tank etc. LUM Ultrafine Vertical Grinding Mill is mainly composed of motor, reducer, body, roller, grinding disc, pressure device, powder concentrator, lubrication station and hydraulic station. (1) Roller and millstone adopt imported wear-resistant material, making them have longer service life and lower maintenance cost. (2) The grinding area between roller and millstone adopts unique grinding curve, ensuring the stable operation and efficient grinding. (3) Hydraulic rod with adjustable elasticity coefficient is used to increase the pressure on the roller, ensuring the continuous grinding pressure on the raw material. (4) LUM Ultrafine Vertical Grinding Mill adopts mechanical position-limiting device, so that there is no direct contact point between grinding roller and millstone, which can avoid the destructive impact caused by machine vibration. (5) Multi-rotor cage-type powder concentrator has high efficiency. It's easy to be adjusted and controlled, which is helpful to achieve the fast switch among different production demands. Therefore, the efficiency of the whole production line can get improved. The millstone rotates under the action of main motor and reducer. After being weighed on the belt scale, raw materials, along with the elevator, spiral conveyer, star-shaped feeding valve and feed screw, fall on the center of millstone, and then they move to the edge of millstone under centrifugal force. While passing through the grinding area between roller and millstone, raw materials will be pulverized by the pressure of roller and the shearing force between roller and millstone. 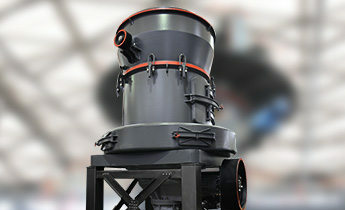 Raw materials after grinding continue moving to the edge of millstone until they are brought into multi-rotor powder concentrator by the airflow of the high-pressure fan. 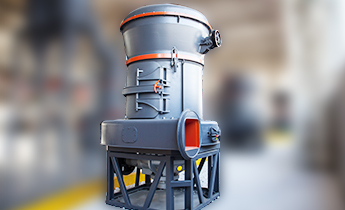 Powders which fail to meet requirement of fineness fall on the millstone for re-grinding while the ones meeting the requirements enter the dust collector along with airflow, and are then transported to product bin by elevator or pneumatic transport system. Equipped with high-efficiency multi-rotor powder concentrator, the machine can produce products in a variety of sizes. The content of 2μm powder can reach as high as 70%. The screen rate of particles which sizes are within 4—45μm can reach 97%. The specific surface area is around 21000cm²/g. The discharging rate of 8.5μm powder can reach 97%. 4-5μm powder can be separated by secondary powder collection. The particle size distribution of final powder is precise, and the content of 2μm powder can be adjusted. And the final powder has fine shape, making it have high added value. The optimized roller, millstone and inner airflow guidance design greatly improve the grinding efficiency. The capacity of LUM ultrafine vertical grinding mill is 30% higher than similar products and the power consumption is 30%-60% lower than ball mill. In order to display and adjust the parameters in real time, the internal part adopts PLC automatic control system and the external part adopts touch screen. The reserved modular interface has strong expansibility, which can quickly realize the connection between front-end grinding aid adding system and back-end powder modification system and packaging system, ensuring the automatic control of the whole process. All the wear-resistant parts of main machine adopt imported wear-resistant material, which effectively prolongs their service life and reduces the iron content in the products and decreases the maintenance costs. With new structural designs and grinding principle, LUM Series Ultrafine Vertical Grinding Mill has small vibration and low noise. To meet the national environmental protection requirements, the whole equipment is sealed and runs under negative pressure. All the dust points are controlled by pulse dust filter, so no dust could overflow. Powder of 2μm takes over above 6%. The fineness can reach 45μm. Powder of 2μm takes over above 20%. The finest powder can reach to 8-10μm. 1. Size distribution: The data is based on MALVERN company's MALVERN3000 laser winding particle size analyzer. 6. Grinding material: limestone, calcite, dolomite, talc, barite, wollastonite, brucite, calcium hydroxide, gypsum, coking coal, slag, phosphate and so on.